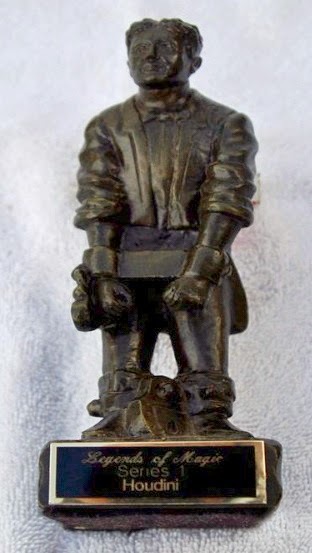 Carnegie: Magic Detective: Houdini Bronze on EBAY NOW! Houdini Bronze on EBAY NOW! On ebay right now, is this bronze statue of Houdini created by Jack Taves. It is 7.5 inches tall and weighs 2.5 lbs. I remember when these first hit the market back in the late 1990s. I failed to get one back then. But I just got one and I am very happy. Another one is available on ebay right now. There is still a little over 4 days left on the auction, so get it while you can!